Rohtak Road, New Delhi - 110041, India. Tel : +91-11-4914 7858, 4571 8480, 4512 8932. Tel : +61- 466 233 234. Pinacolada, Mojito, Blue Lagoon, Fresh Blue Mist, 69, Rock-star, Moksha, F-1, Party, Honeymoon, Rodeo, Citrus splash, Sweet blast, Kiwi-salsa, Zafran etc. 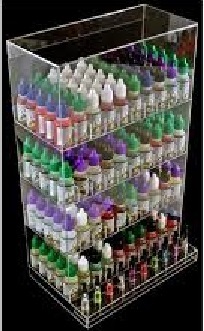 Bliss is India's first and the only manufacturer of E-Liquids / E-juices for Vaporizers, E-Hookahs, E-cigarettes. Bliss is dedicated to promoting and protecting your right to vape as well as helping consumers choose the best e-cig and e-liquid products. Bliss simply makes a superior product and it is very important that you demand quality when you buy eliquid. Bliss delivers that quality where so many others fail badly. The transparency is refreshing and reassuring. As consumers ourselves, this is the kind of transparency that we demand. We are inhaling nicotine free vapor of this ejuice and knowing that it is comprised of only the best quality ingredients paramount to truly experience the full benefits of vaping. With Bliss ejuice manufacturing standards, your juice is blended by professional chemists. There are well over 100 different flavors to choose from and each flavor is carefully and skillfully crafted to maximize your enjoyment. All our Pan based Bliss ejuices have been specially developed for the demanding Indian customers taste.